Steven (Chicagoland, United States) on 11 February 2019 in Landscape & Rural and Portfolio. Photo captured January 23, 2019. I'm in love with this kind of snowy scene, Steven! Not a lot of green there ! Superbe cette photo hivernale comme j'aimerai en voir de temps à autre chez moi. I like this wintry composition in diagonal. The trees are suitable subject for BW. Excellent ! 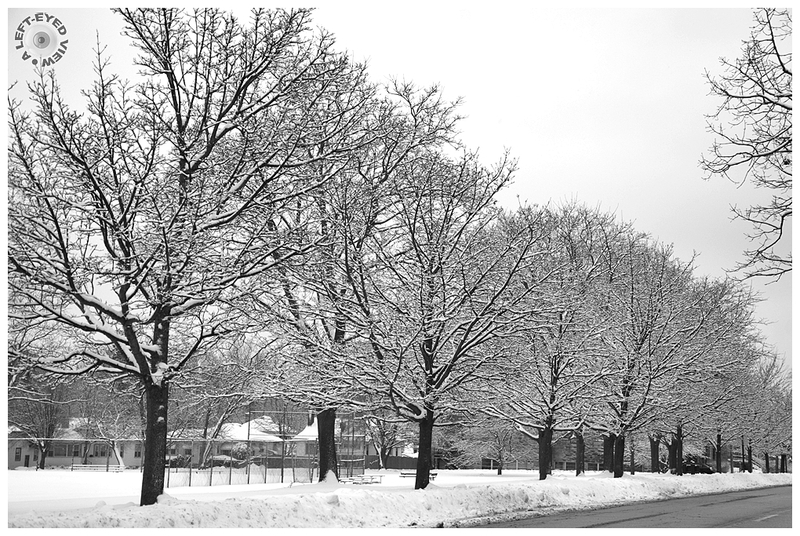 A very nice look at these snow covered Maple trees Steven. Excellent winter scene. Magnifique . Très belle perspective sur ces arbres. Great left eye picture from the snow trees. That must have been a very wet snow to stick on every limb like this, but it is so pretty. Beautiful! It wont stop snowing out here. @Steve Rice: Which is unusual for you! The system will be making its way through Chicagoland tonight. Perfect compo and monochrome mood. A gorgeous winter scene. The trees look to be covered with a lovely layer of icing! well composed perspective shot of this line of snow clad trees. Where I live I do not have snow, but I like to see snow in the photographs. Excellent cadrage une fois de plus, une allée royale sous la neige. Ah - I knew you'd have some gorgeous winter shots ! Une allée en dentelle !